Wet ‘n Wild, the pioneering water park, is closing its doors permanently on December 31. The famous park, located in Orlando, was close to its 40th anniversary. Wet ‘n wild is one of the 744 water parks existing in the United States. It opened in 1977 and it will be permanently closed on Saturday after its current owner, Universal Studios Water Parks, decided to create another water park called Volcano Bay, which is expected to open its doors by mid-2017. There are 744 water parks in the U.S today and Orlando is home to a great number of water parks. It has four of the world’s most-visited water parks, including Wet ‘n Wild. Image credit: HTV Apps. Wet ‘n Wild was developed by George Millay, who was a SeaWorld founder in San Diego. Millay combined waves and water in a creative way that made out of Wet ‘n Wild an extreme competitor in the market. Walt Disney World had also opened other water parks, but Wet ’n Wild soon became the industry standard. “When we opened River Country we thought it was fantastic because we had three slides and a big swimming pool,” said Former Disney executive Duncan Dickson. “Then along comes George Millay with Wet ‘n Wild, and we kind of go, ‘Oh, wait a minute.’ He really took the River Country concept and really stepped it up and went a lot further”, he added. 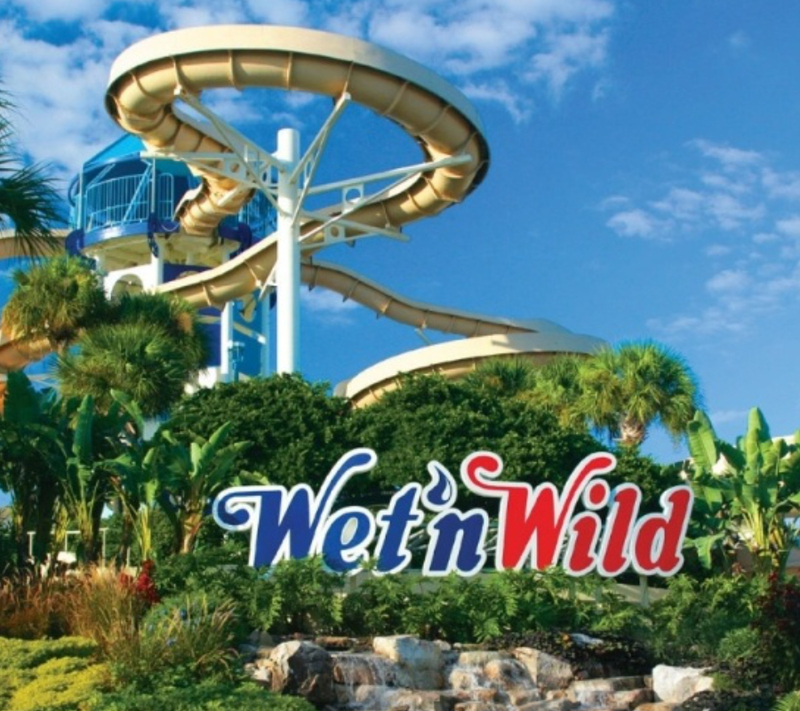 Wet ‘n wild was later acquired by Universal Studios Water Parks in 1998. All over its nearly 40 years, there were opened new attractions and slides with sound effects and lighting. As well, there were slides that accommodated more than one passenger in a ride to meet the customers’ needs. According to former Wet ‘n Wild General Manager, Michael Black, they wanted people to enjoy Wet ‘n Wild as a family experience. The whole family could get in an inner tube together. Under Universal’s administration, they started offering other attractions such as cabanas, family dining plans and a child-friendly area with a 60-foot sand castle, slides, soakers, and jets. During last year’s summer, it was announced that Universal Studios Water Parks was planning to open a new water park in Orlando named Volcano Bay, which would be ready to receive customers by summer 2017. In order to make way to Volcano Bay, it was decided that Wet ‘n Wild was going to be shut down before the year ends. It will be officially and permanently closed next Saturday.